What’s the best EMT pocket knife for the money? 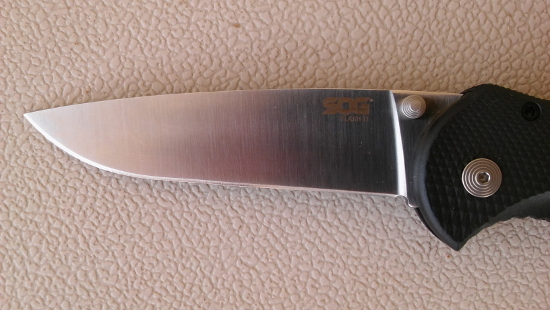 So why is the SOG Flash II folding pocket knife the best EMT pocket knife? Compact size allows storage in pockets yet large enough to be functional. I really like the SOG Flash II pocket knife. The price is unbeatable. The grip is fantastic. It’s comfortable in either hand and is non-slip even in water or with sweaty hands. The blade is super sharp and deploys easily. The blade lock is very secure but very easy to disengage. This is a great EMT pocket knife that will perform very well in any emergency situation. I’ve cut many seat belts, ropes and clothing with mine and it’s still razor sharp. The light weight is appreciated when you have a ton of other gear on your back or in your pockets. Everything starts adding up so if you can cut some weight, it’s very beneficial. And you will notice it too. 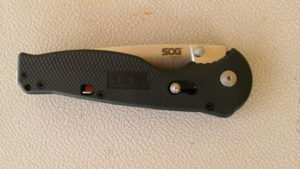 I like SOG products. I’ve had several tactical knives and multi-tools and all were excellent. Their prices are very competitive too. You really can’t beat them!